A lot of women say that they don’t want to be financial advisors. But as it turns out, maybe they just need to know the industry better. New research from the CFP Board suggests that women’s resistance to becoming financial advisors hold numerous false notions about the industry, reported Financial Advisor IQ. For instance, many women outside of wealth management picture a job that relies heavily on cold-calling, rather than one where they have a chance to improve all aspects of their clients’ lives. Another assumption, according to the study, is that financial-planning careers focus primarily on investment and mathematical ability, traditionally regarded as “masculine” areas, and not on “feminine” aspects like communicative ability, relationship building, and holistic advice. Impressions on advisor pay structures also reportedly play a role. Because financial advisors are traditionally paid on an AUM or commission basis, many women imagine themselves being unable to make a decent income until they’ve developed a substantial client roster, said Ariane Hegewisch, program director of the Institute for Women’s Policy Research (IWPR). The IWPR has reportedly heard of many cases of firms having an unofficial network that prevents female advisors from getting the best clients. In one scenario, the clients of a retiring FA could be redistributed to male advisors only. According to Hegewisch, firms have to actively make sure such tactics for unfair exclusion aren’t being used. The CFP study also found a perceptional disjoint between men and women when it comes to office culture in financial firms. 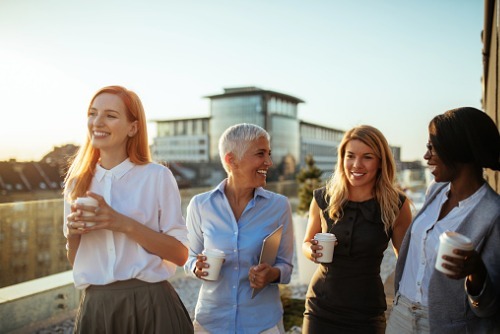 Among male respondents outside the industry, 48% said such culture makes women financial planners feel welcome and respected. But among women respondents, only 29% agreed.